New and archived reports containing CMO Survey results and insights. Three reports are available for each issue of the survey. 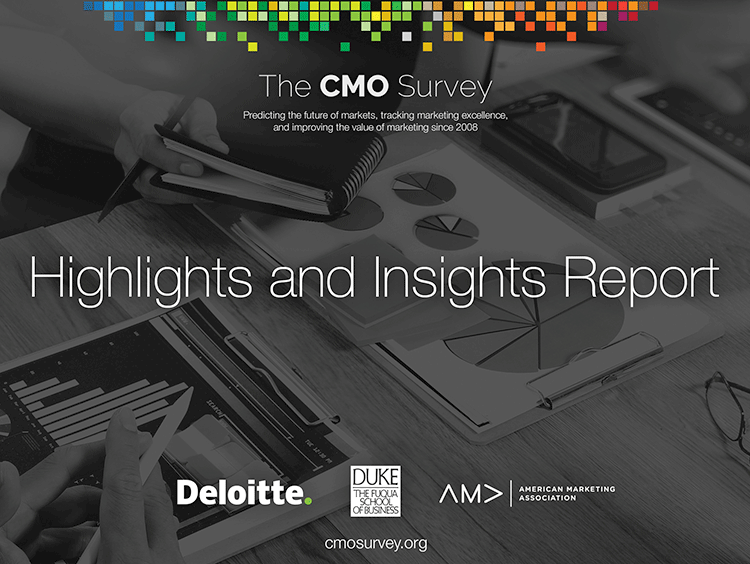 The “Highlights and Insights Report” focuses on key results and shows trends over time. The “Topline Report” summarizes survey results at the aggregate level. The “Report of Results by Firm and Industry Characteristics” shows all results by industry sector, firm size, and percent of firm sales from the internet. Examines survey results and trends over time. This report summarizes all survey results at the aggregate level. 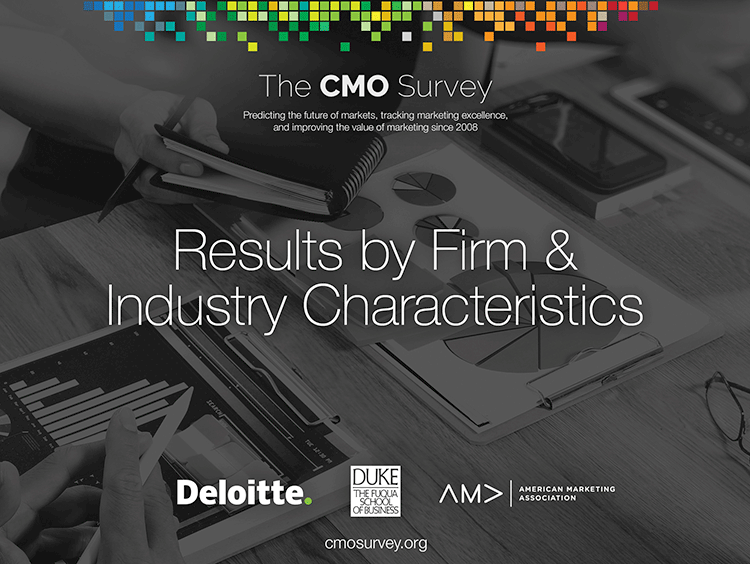 This report examines survey results cut by industry and firm qualities.